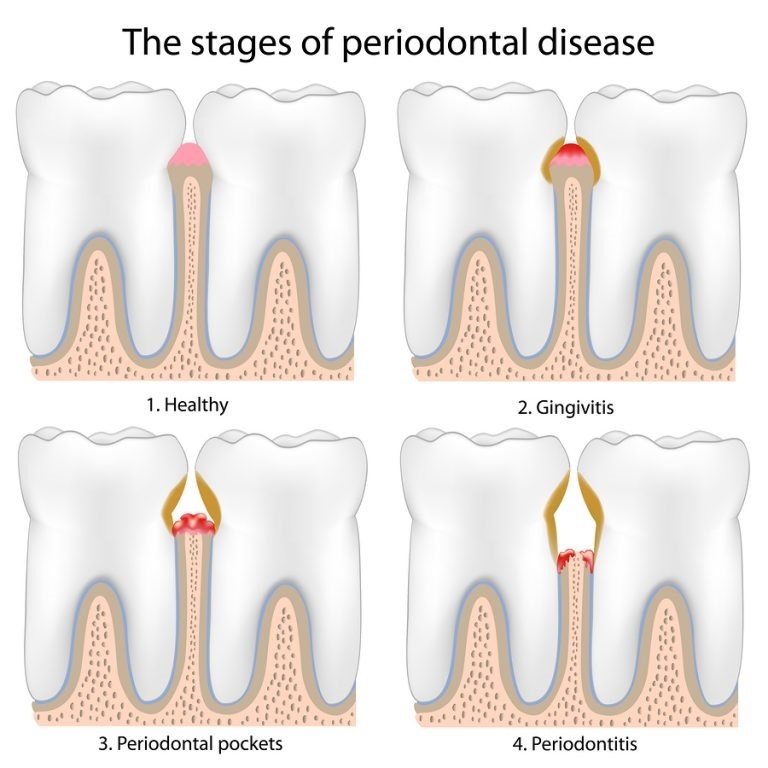 The first, and least harmful stage of periodontal disease, Gingivitis causes bleeding gums and inflammation, usually as a result of plaque buildup. Once plaque becomes tartar, it begins to erode the gums around your teeth. This erosion forms deep “pockets” in between the teeth and the gums around them, which are susceptible to bacterial infection, and become very inflamed and prone to bleeding when brushed or flossed. As periodontitis becomes worse, bone loss in your teeth and jaw becomes a serious problem, and your teeth lose the supporting ligaments and gums holding them in place. Unless treated in a timely fashion, teeth will begin to fall out and erode further. Contact Dr. Medina in Las Vegas to get checked for Periodontal Disease today.